Anyone who logs in the game after the September 13 patch will get a hero for free! The Alarak patch has just dropped on the PTR and you will have the chance to test it for the next two weeks. You should look forward to it going live not just for the many new features and changes it introduces, but also because you will have the chance to get a free hero! 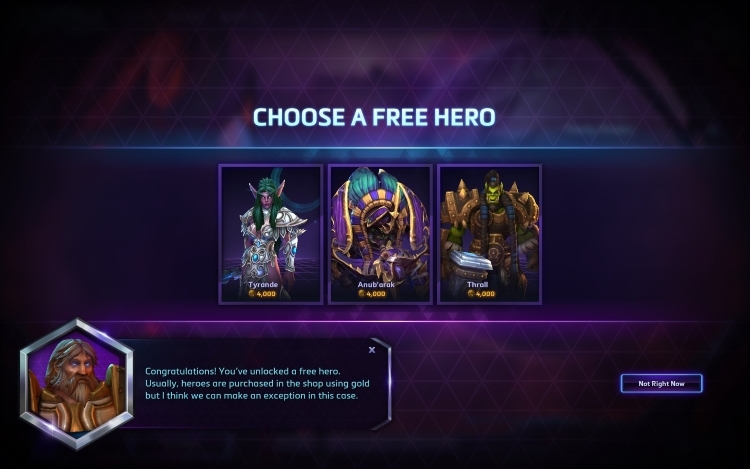 You can choose between Anub'arak, Thrall and Tyrande. 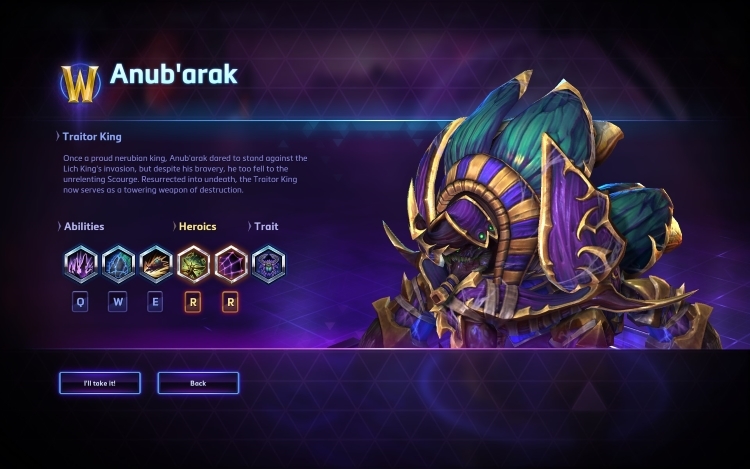 If you already own any of these heroes, they will be replaced with Nazeebo, Sonya, and Uther, in that order. If you still own all of these heroes, you will get their value in gold. Just play Heroes of the Storm - it’s as simple as that! Anyone who logs into Heroes after our next major patch goes live on September 13 will be met with a new popup asking them to claim their reward. Choices will be final, so take some time to look over your options using the detail screen provided for each Hero before locking in your decision. Everyone will be given a choice between three Heroes to begin with – Tyrande, Anub’arak, and Thrall. If you already own any of these Heroes, they will be replaced with Nazeebo, Sonya, and Uther, in that order. If you already own all six of these Heroes, we will grant you their equivalent value in Gold (4,000)! All of the free Hero choices have the same Gold and real money value, so don’t worry about trying to find the best bang for your buck, just choose the Hero that you want to play! We hope you’ll enjoy this new addition to your Hero roster. We’ll see you (and your new Hero) in the Nexus, soon! Bear in mind that Thrall, Tyrande and Uther are on discount this week, so it's a good opportunity to get your hands on them if you prefer to get one of the other heroes (or gold) for free. You can check the rest of this week's sales here. This is a great move by blizzard to reward new and returning players with a pick of very solid (some even active in the top end meta) heroes for just playing again. 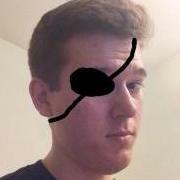 I've got all but Uther on the list, but getting anything for free is awesome! Especially they are giving the gold even if you don't need the hero! Was thinking exactly the same here!